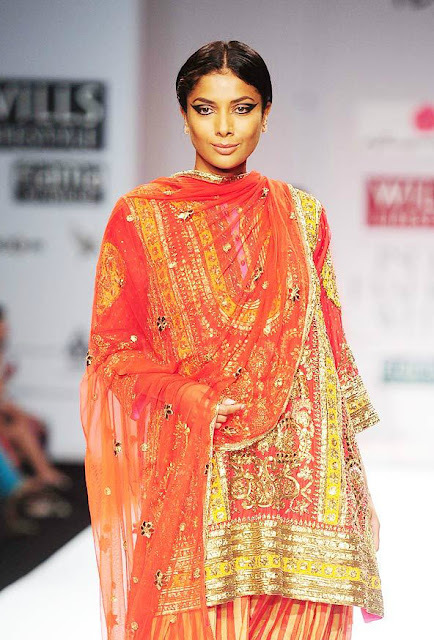 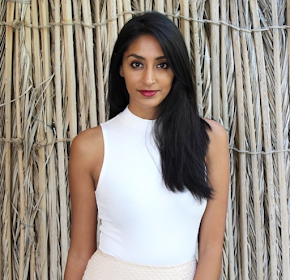 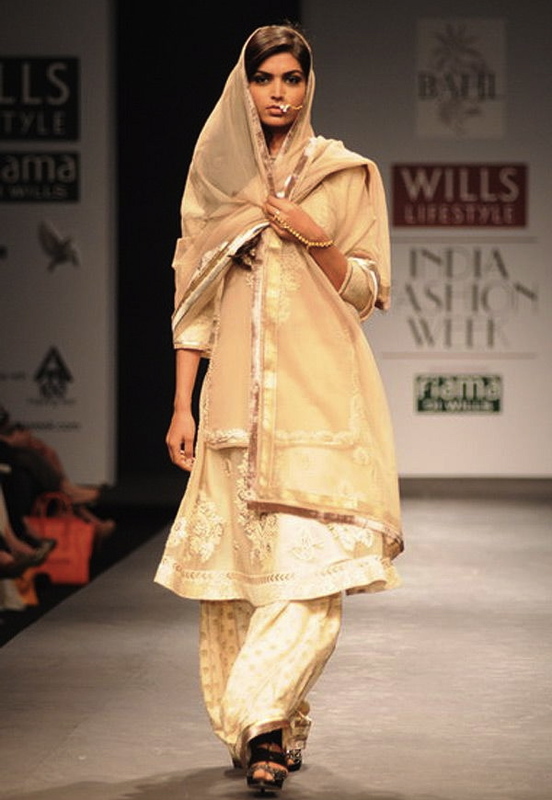 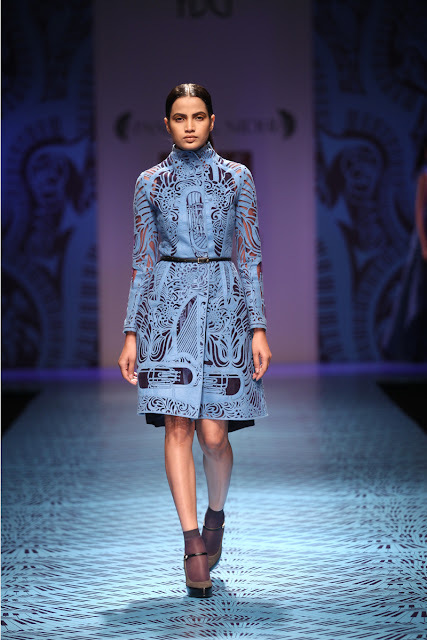 We're starting to see so much exciting change in the Indian fashion scene. 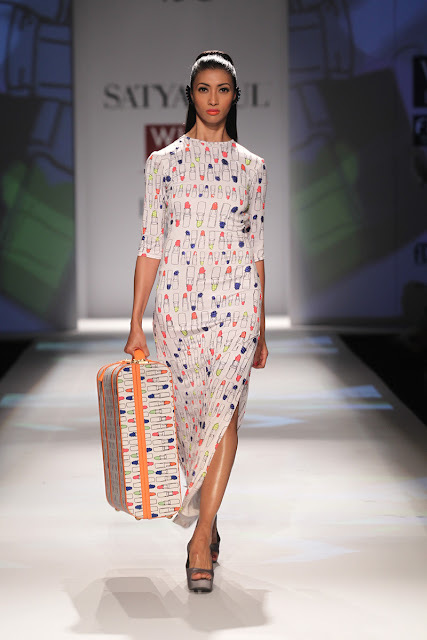 It's starting to make a mark on the international fashion map - doesn't it make you proud?! Day 1 of Wills Lifestyle India Fashion Week proved all of this to be true! 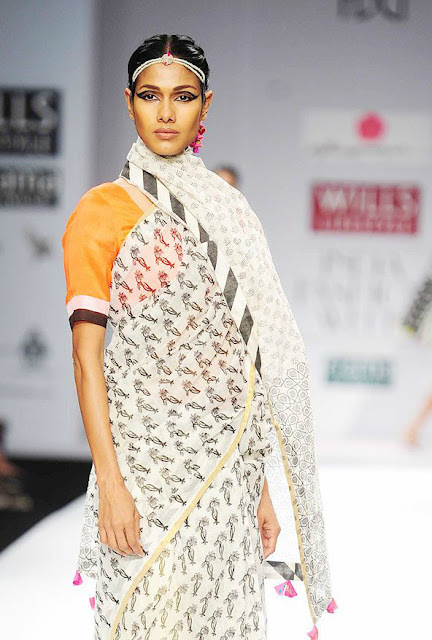 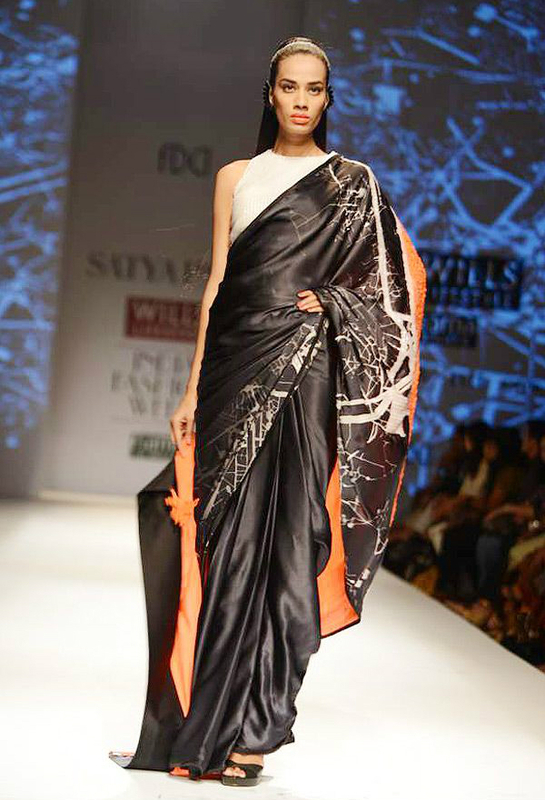 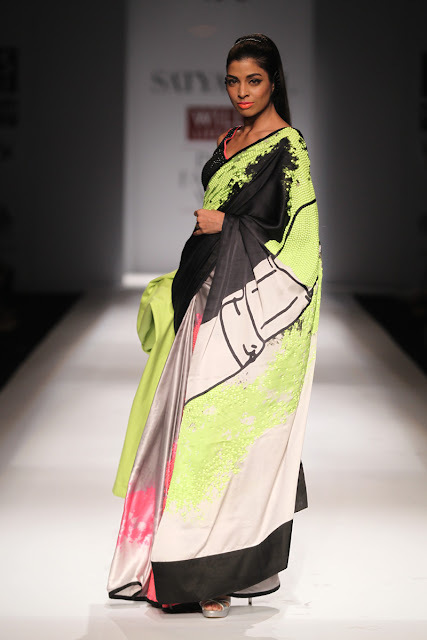 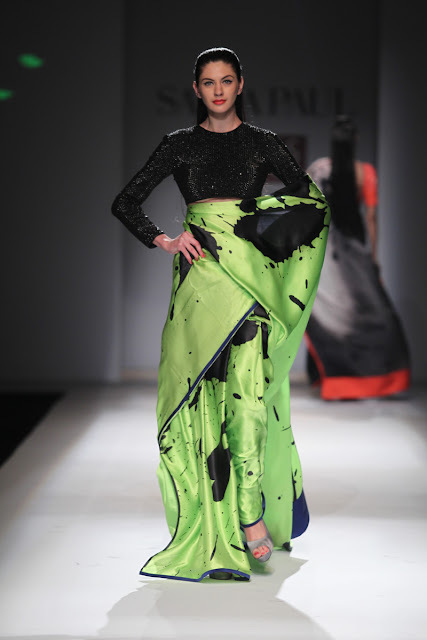 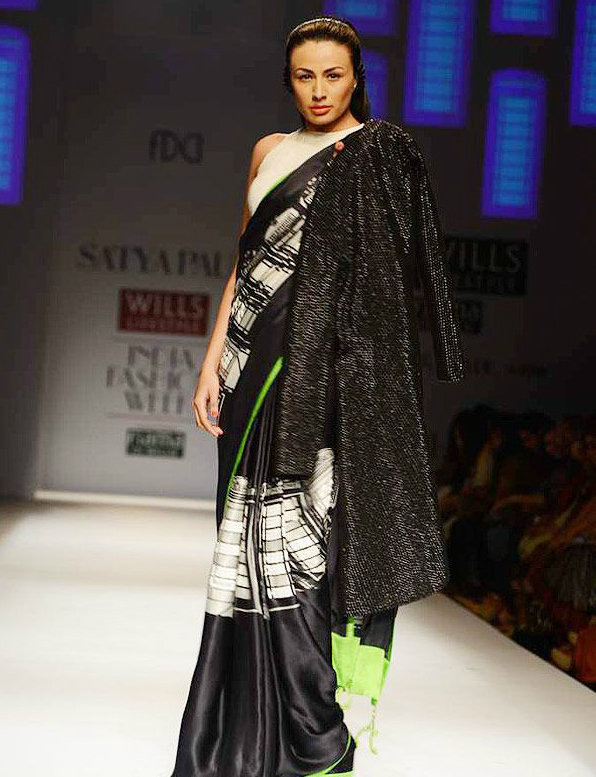 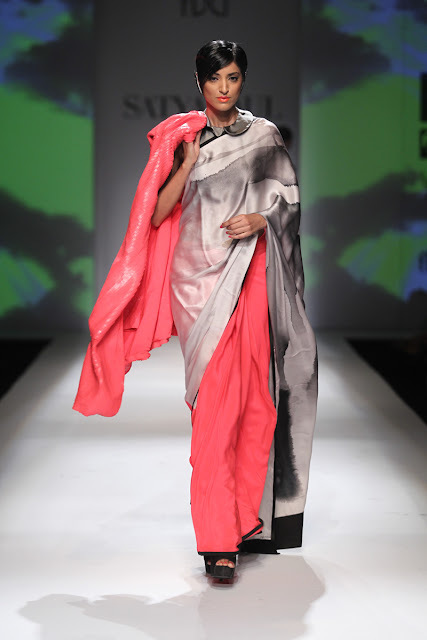 Masaba Gupta for Satya Paul: Masaba for Satya Paul started the fashion week with a bang with her gorgeous prints on saris and dresses. 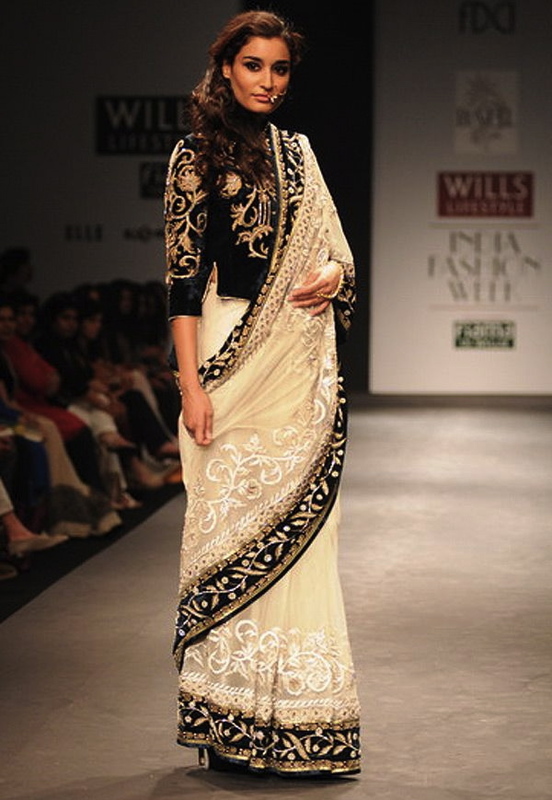 I love that the pieces are girly but still quite classy. 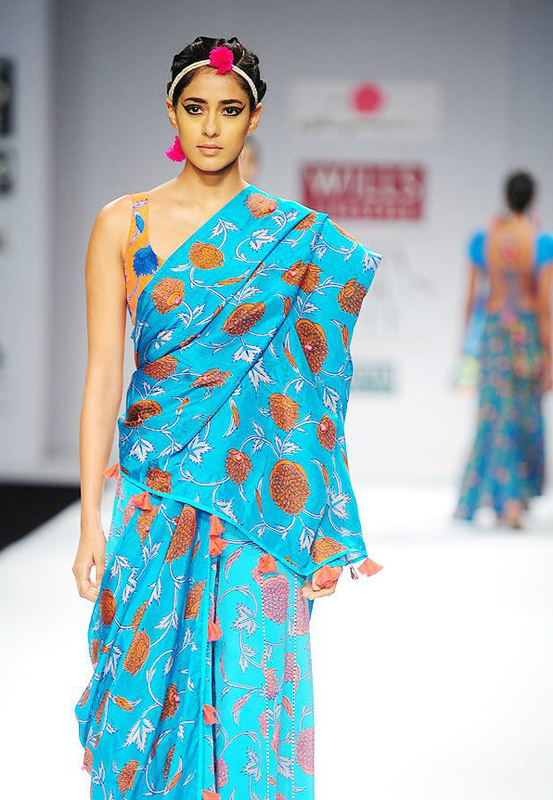 I'm definitely in the market for one of her neon print saris! 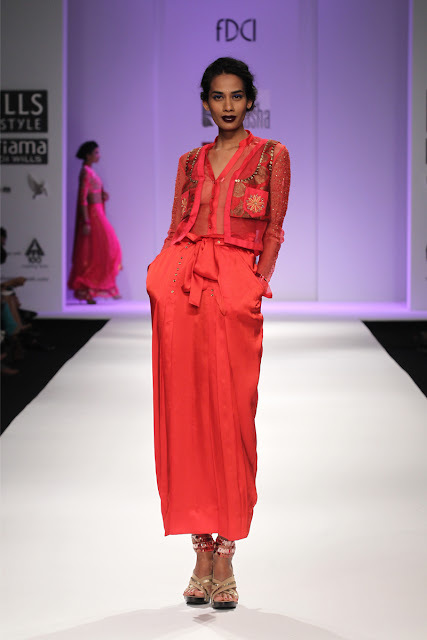 Nikasha - I really like the pieces in this collection (especially the red salwar kameez below) but not sure where the designer is going with it. You can usually tell where a designer gets inspiration from, but with this collection I'm a bit confused? Samant Chauhan - Great fusion style in this collection. 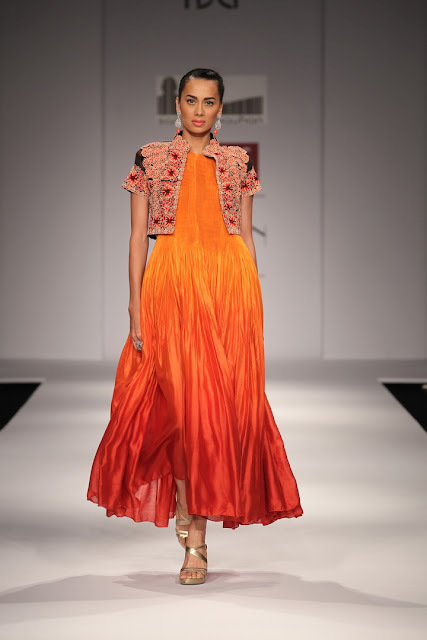 Loving the high collarless necklines, asymmetrical dresses and long jackets. 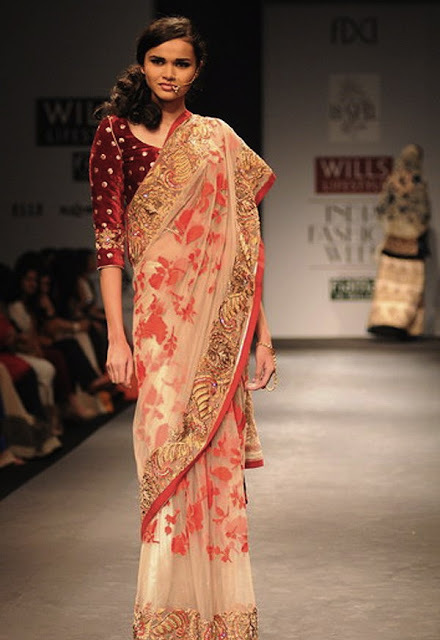 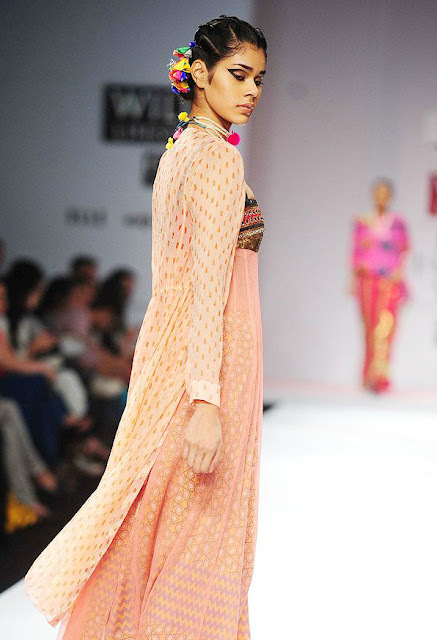 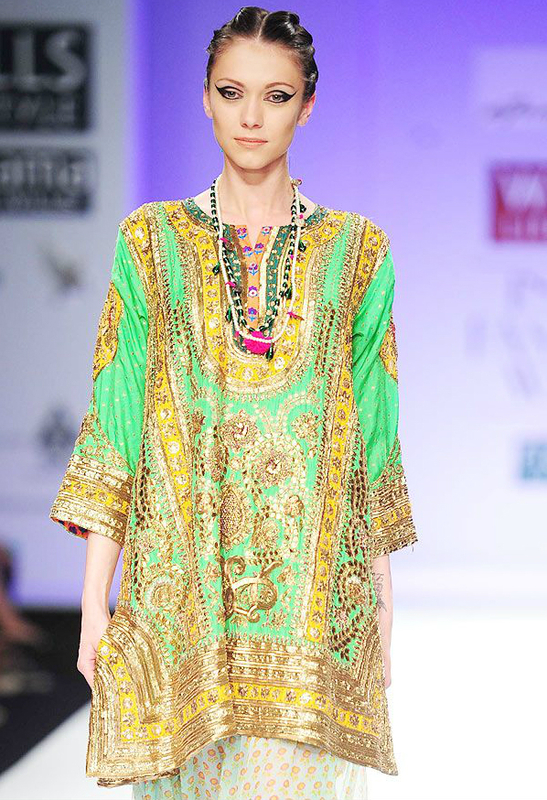 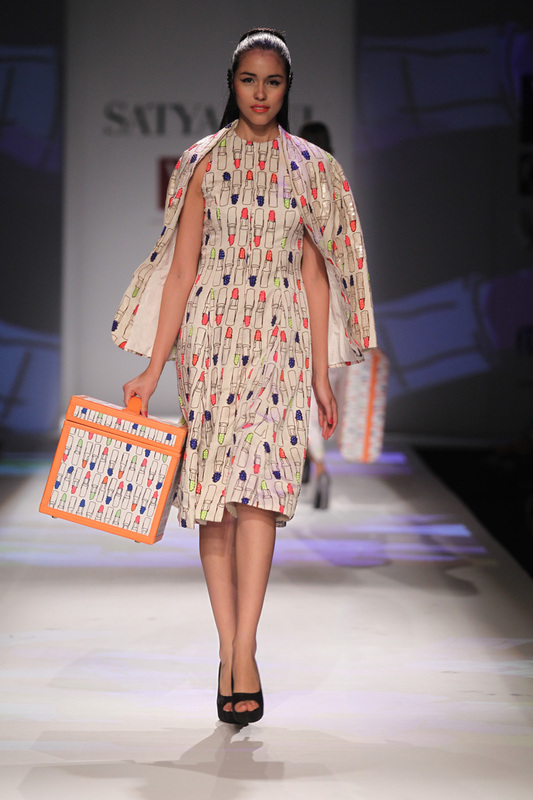 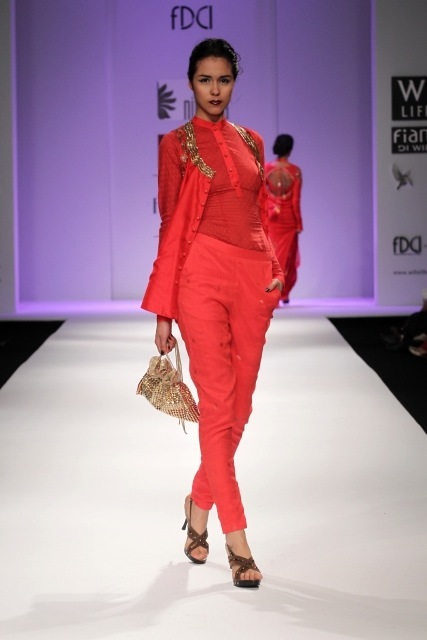 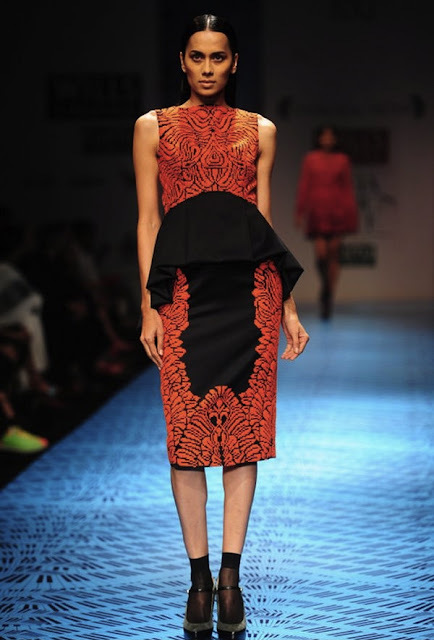 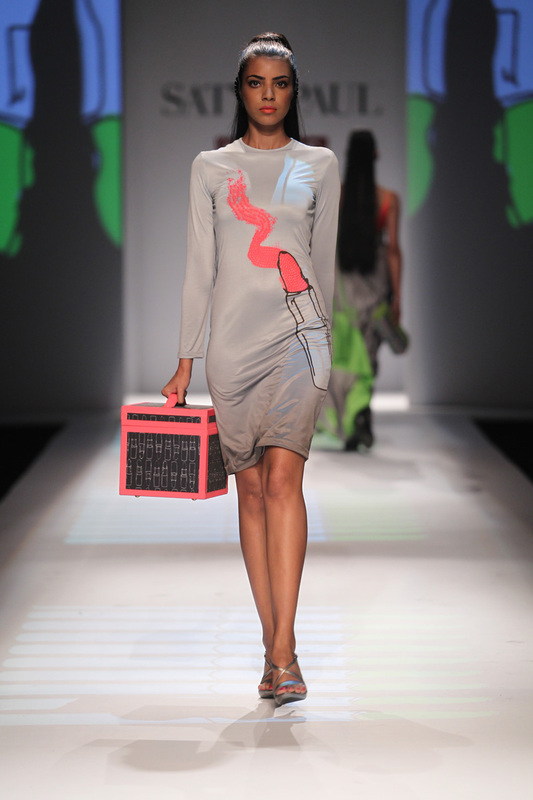 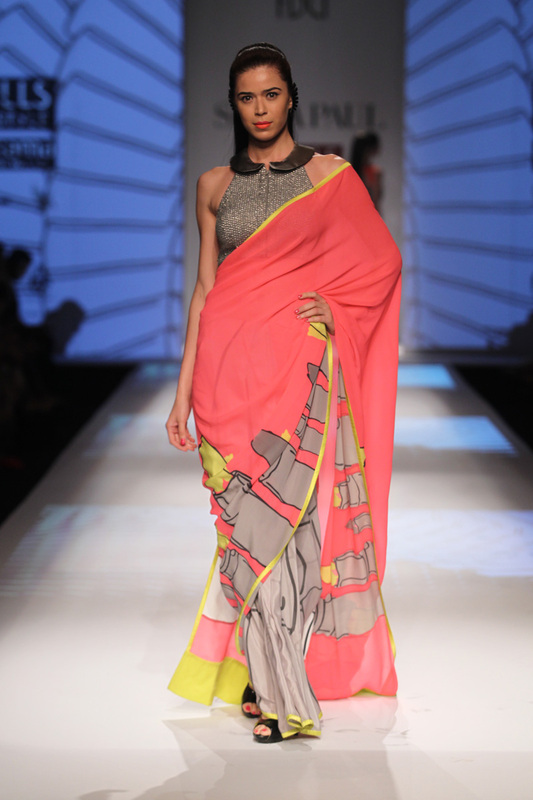 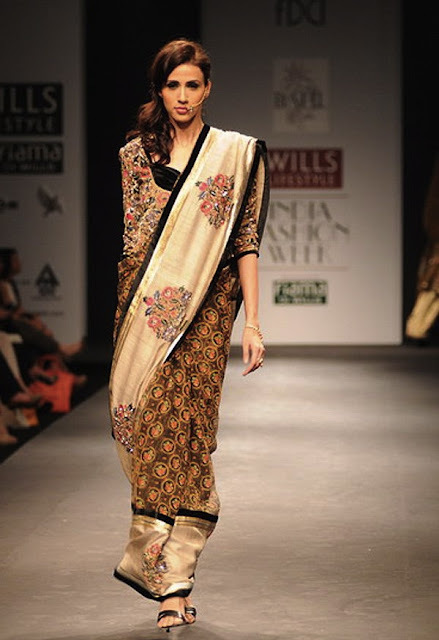 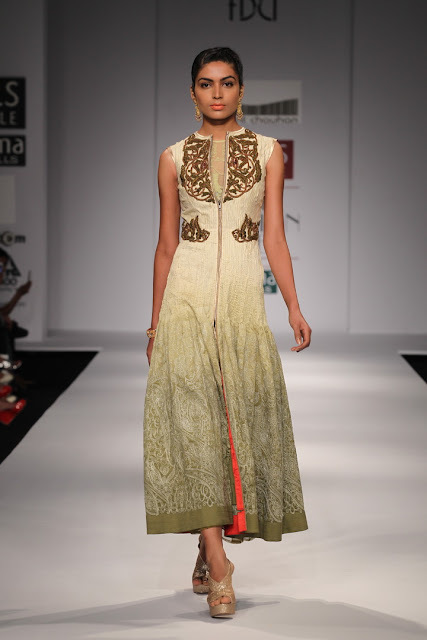 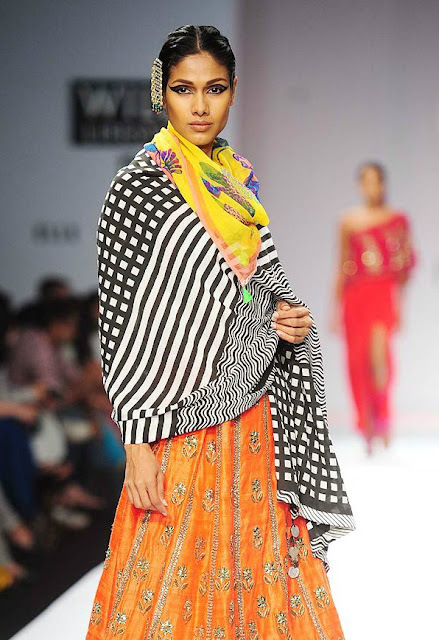 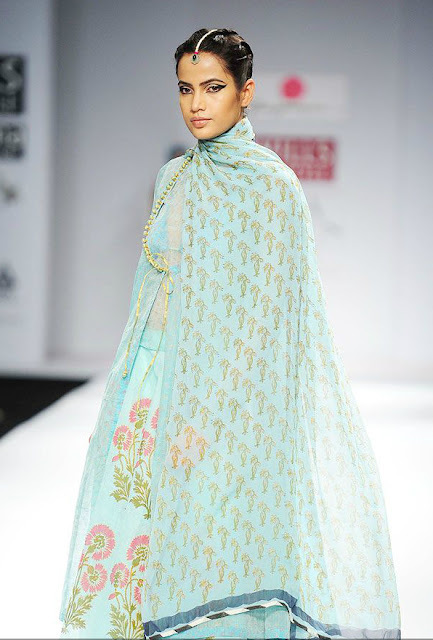 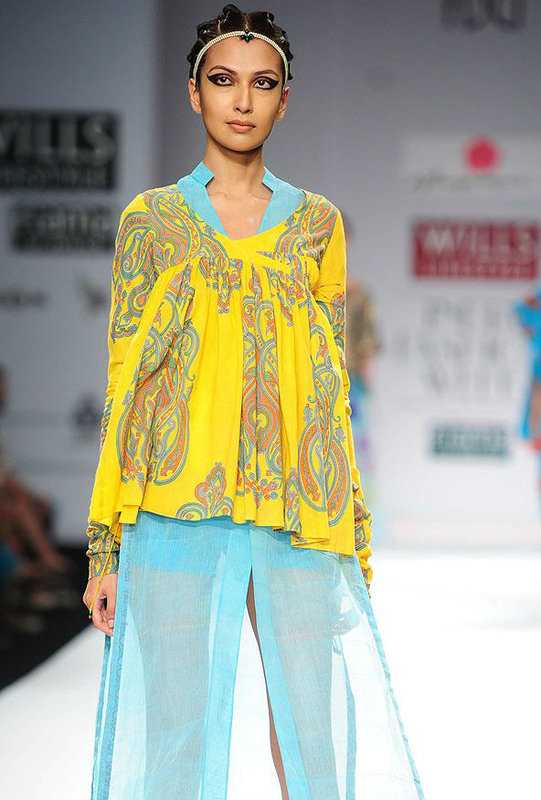 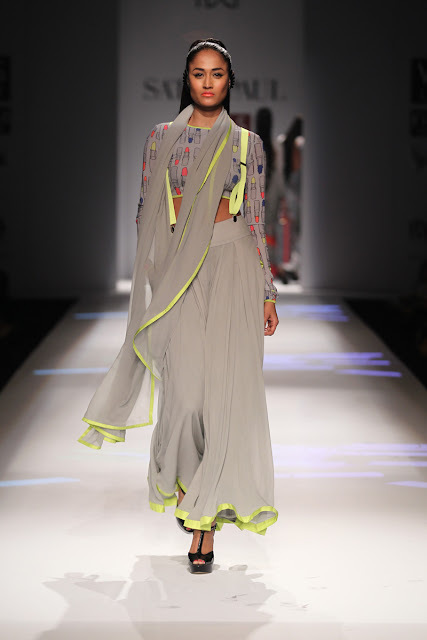 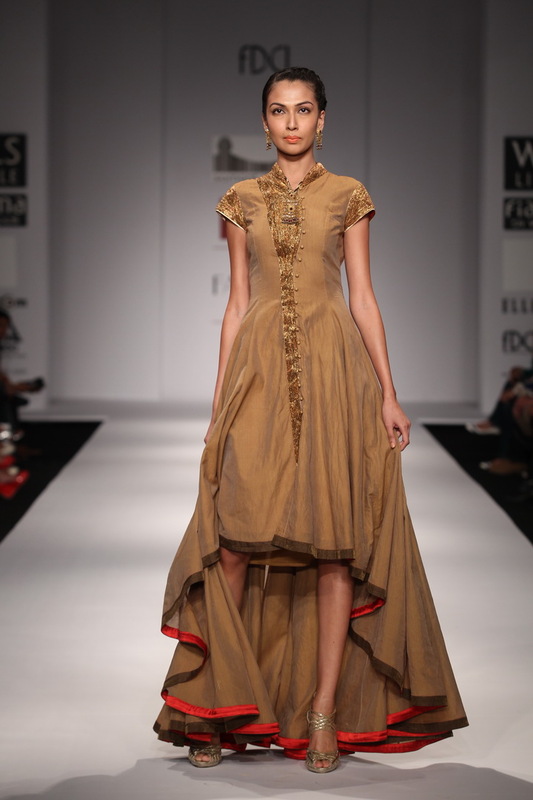 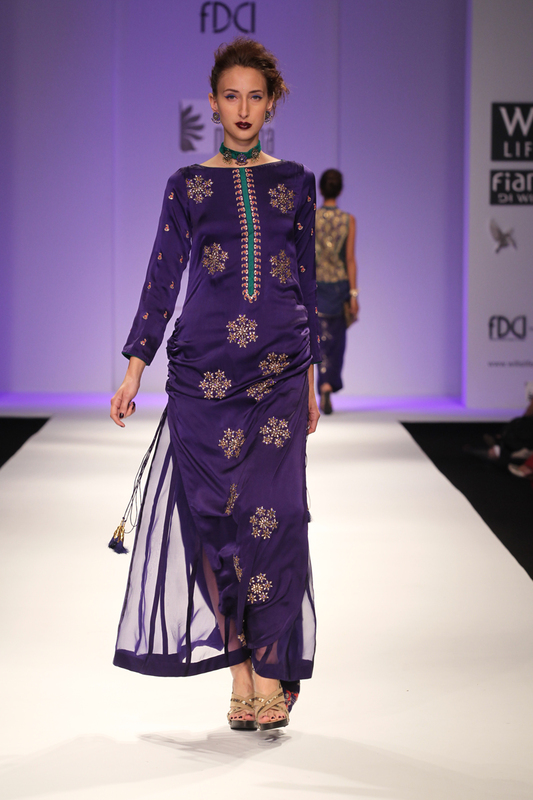 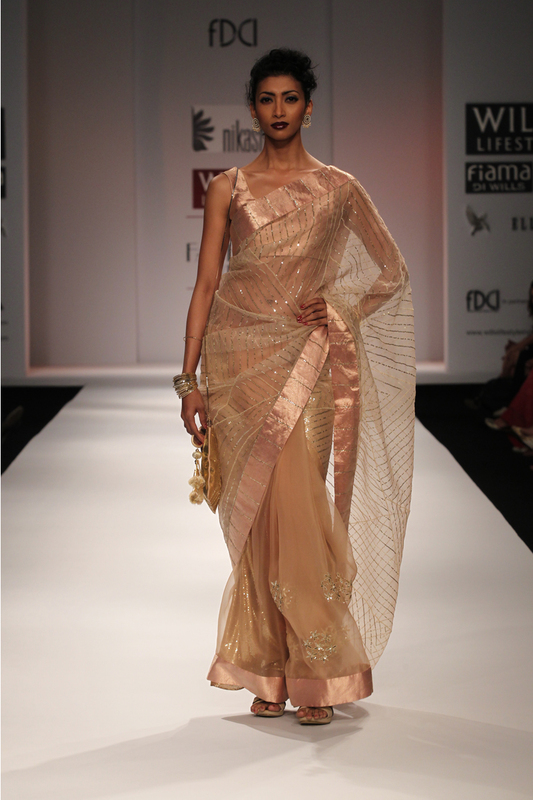 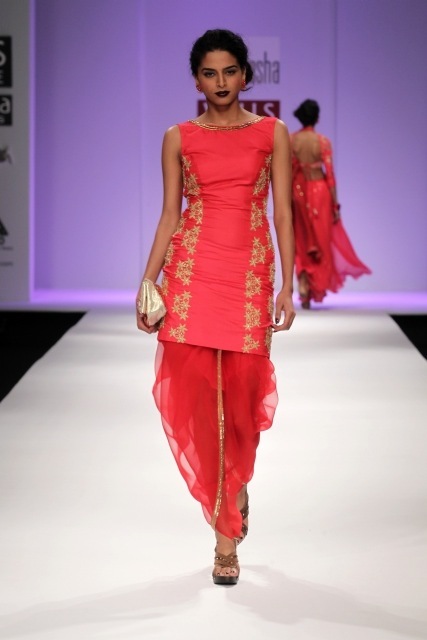 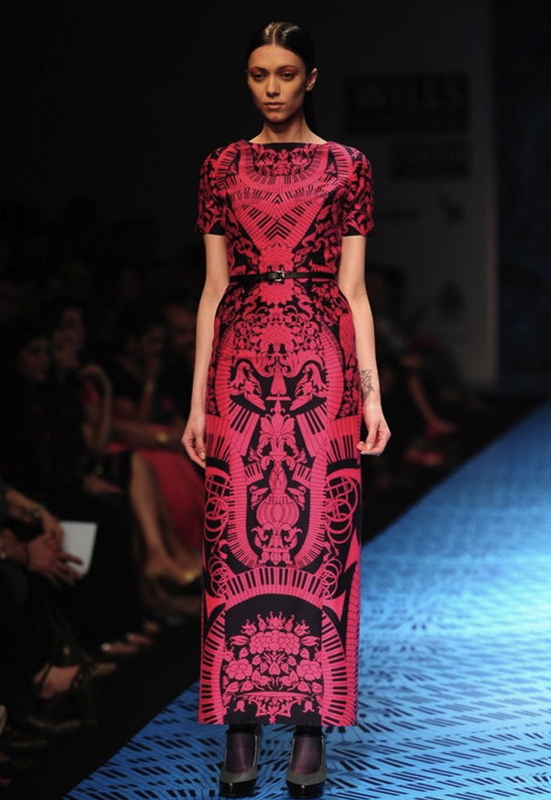 Anupama Dayal - This collection makes me wish it was warm outside! 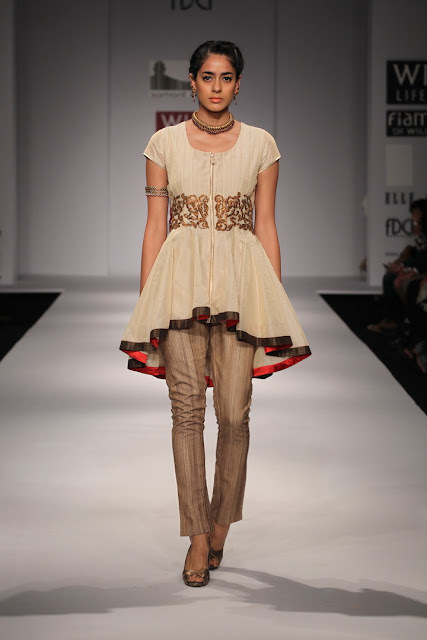 Loving the Indian Summer Bohemian feel. 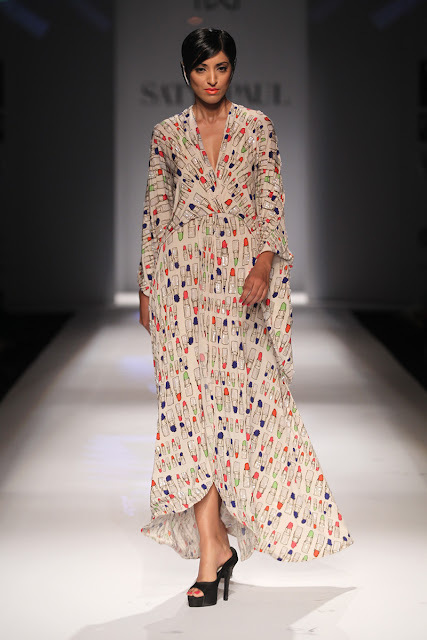 There is a simplicity in the prints, colours and fabrics of this collection, and I have to say that this collection is very Anupama. 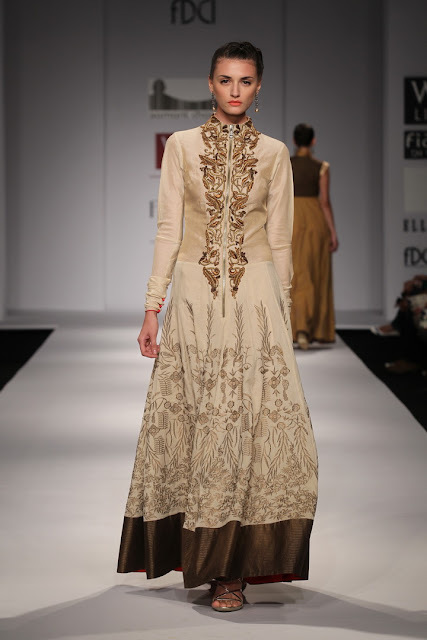 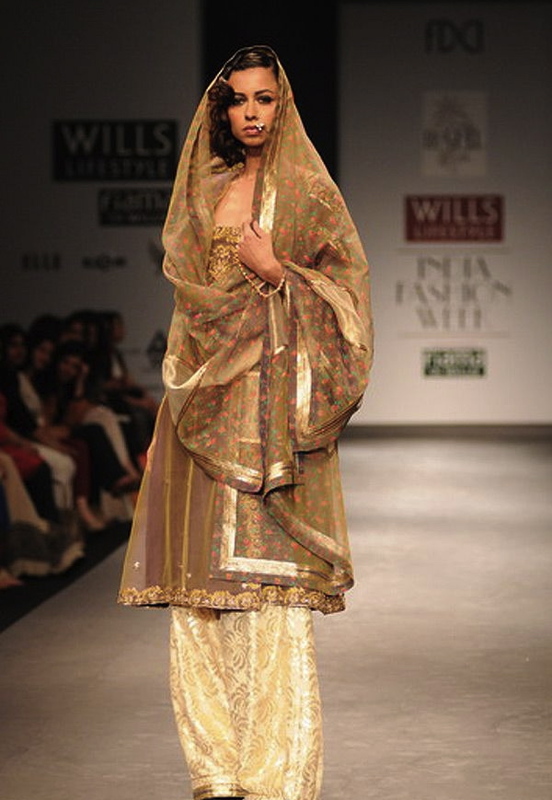 Pankaj & Nidhi - Beautiful collection with great cut work. 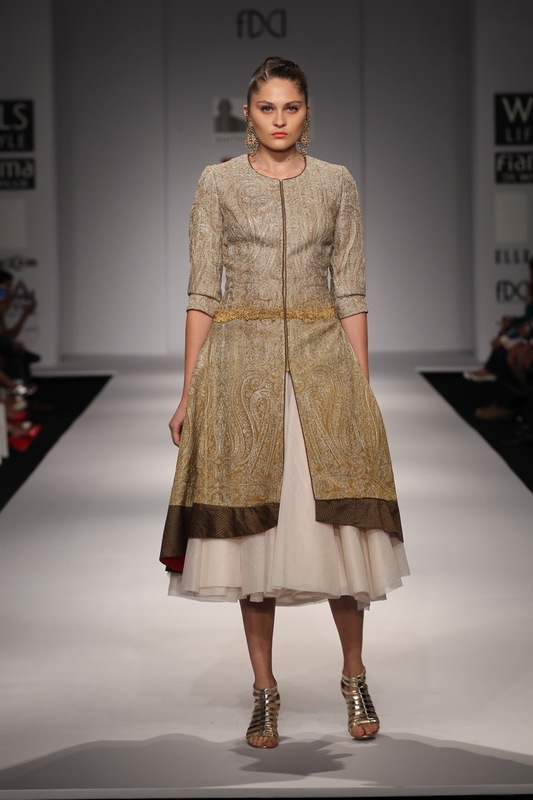 Really like the coats, would look gorgeous over a sari! 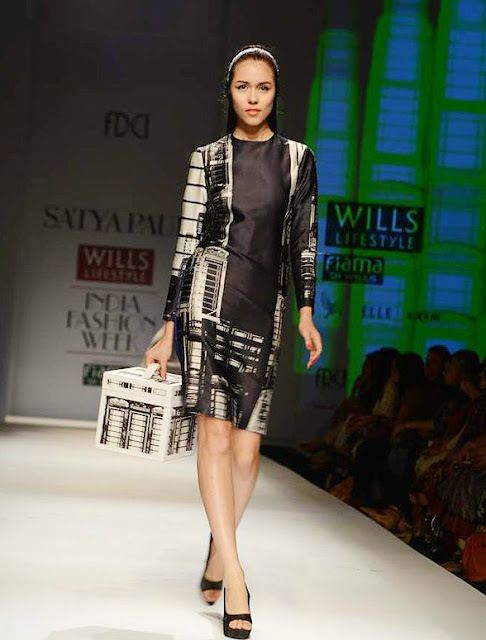 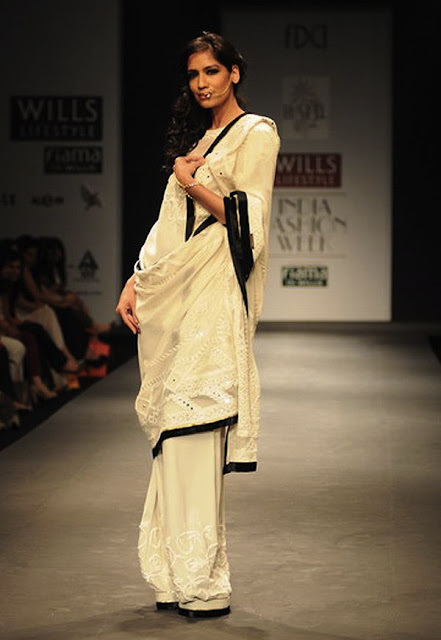 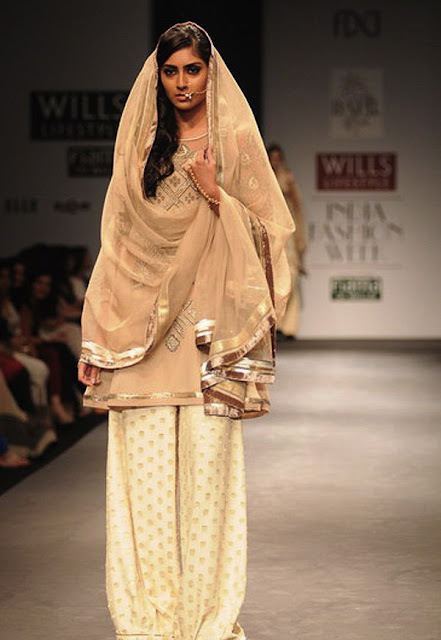 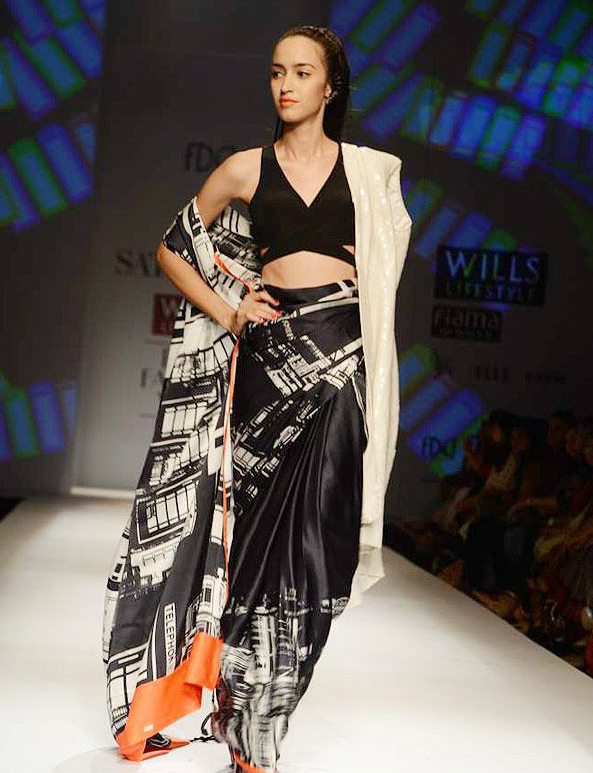 Vineet Bahl - Taking a primarily traditional take on monochrome, Vineet Bahl created a simple yet classic collection. 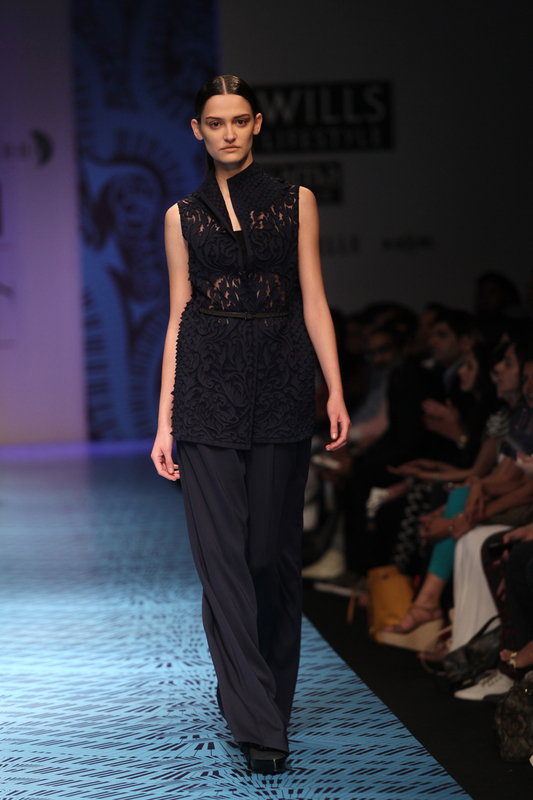 He's picked up on one of the biggest trends of the season from the Western world and put it in his collection. 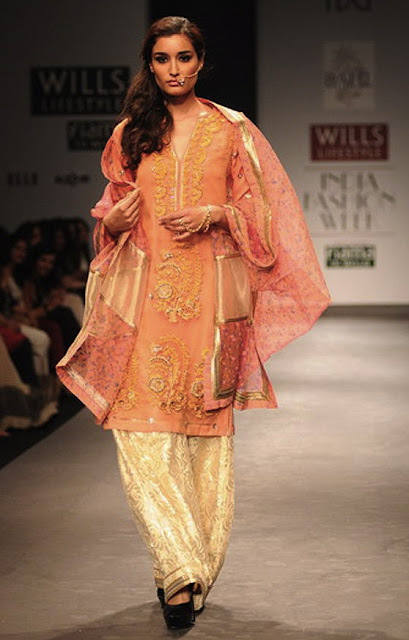 I love the fourth salwar kameez below! 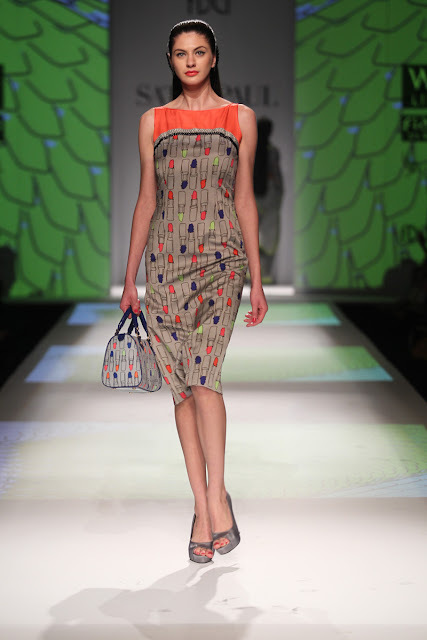 The print collection is wonderful, so fresh and exiting!